Big rhombohedral crystal of very well defined faces and edges on a bed of smaller crystals of the same species. The locality produced some of the best samples of Magnesite and this one honors that tradition. 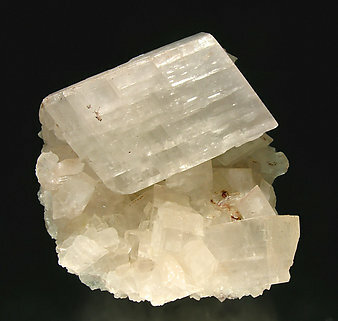 Lenticular white crystals, very aerial, of Magnesite on a group of gray rhombohedrons of Dolomite. 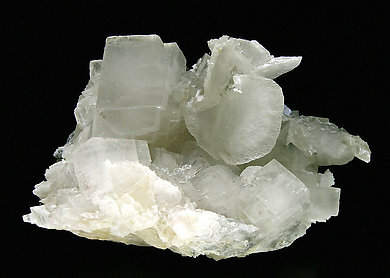 Even though being known from Eugui, crystallized Magnesite is very much rarer than Dolomite. 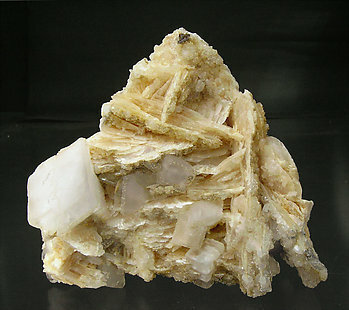 On this piece white Dolomite rhombohedrons and lenticular yellowish crystals of Magnesite have grown together. We especially note the rare richness of Magnesite crystals in the sample. Small group of lenticular crystals with soft silky luster. 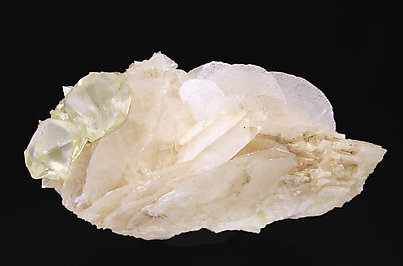 On them there are some twinned Dolomite crystals, absolutely transparent and of yellowish tone. 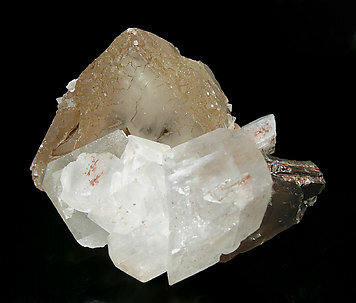 The sample has a very interesting association of Magnesite, with dark, beveled crystals, which co-exist with a very aerial group of Dolomite, in white rhombohedral and very sharp crystals. 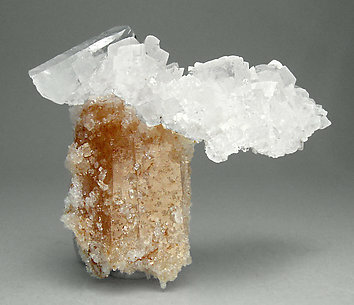 Very aerial and esthetic group of rhombohedral crystals of Magnesite. They are white, very bright and are with a clear Quartz crystal and another crystal of Quartz very rich in orange inclusions, probably Calcite.